SERVPRO of Marquette Park / West Lawn / Ford City is always on call for your fire-damaged property. Anytime something burns inside your Chicago home, items inside the building may need to be removed and replaced. 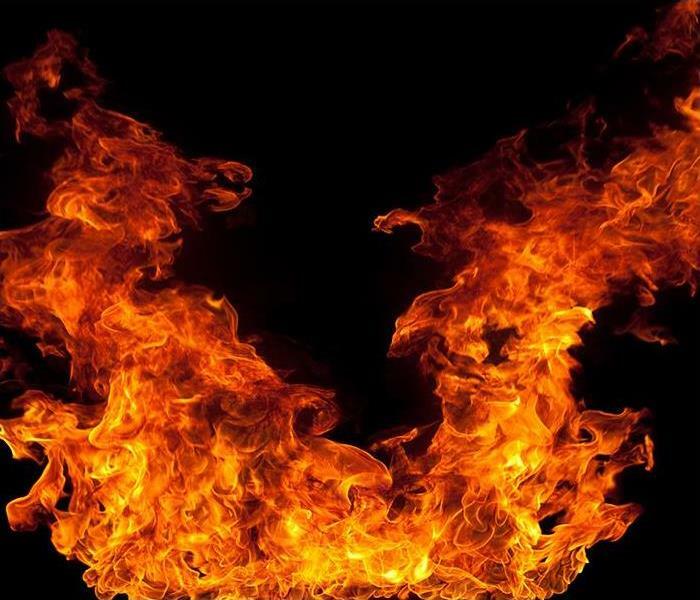 If the flames torch your building materials or contents, it could become necessary to call in a professional fire debris removal company such as SERVPRO. The number one goal when arriving at your residence is to use specific methods to save items preventing replacement as much as possible. However, in some situations, your structural components or other items can get damaged to the point where they need to be removed and replaced. When a situation like this occurs, it is wise to save the fire debris removal for the experts. When rebuilding a fire damaged home, we take specific safety measures. During any fire debris removal project in Chicago, our SERVPRO technicians always put safety first. Before we begin any work, we inspect your home for both potential dangers and to figure out the extent of the damage. If there are any structural issues or other problems that could pose a hazard to any of the building's occupants, then we perform steps to mitigate the possible danger. For example, should burnt items pose a fall hazard, we take them down. We also temporarily support the compromised building's structure while demolition procedures take place. After our SERVPRO experts deem the fire damaged building safe for you, your family, and our staff, we commence mitigation efforts. First, we run tests to see how burnt your building materials and contents got. For instance, if charring is found into the drywall and past its surface, then most likely it needs removal. If your studs show torching deeper than a quarter inch, then sections of your building's skeleton needs discarding. After disposing of the unsalvageable contents and building materials, we take measures to prevent the spread of unpleasant aromas created by smoke and charred materials. If anything ever burns inside your house, call SERVPRO of Marquette Park / West Lawn / Ford City at (773) 337-3993 any day of the week. Our Team Is Here To Help If A Water Damage Emergency Occurs In Your Chicago Business! Please give us a call at (773) 337-3993 as soon as you find or suspect a problem so we can get everything back to normal as soon as possible. A slow drip under a sink, leaking from your roof, or water stains on your ceilings are all signs there are water issues in your Chicago coffee shop. It doesn’t take much water to create damage to your building that is rather significant, and sometimes the problem can go unnoticed for a while until they become a much more substantial problem. Commercial properties often have more bathrooms than private ones, and therefore, have more plumbing to upkeep. When you are a business owner, there are steps you can take to locate any issues that may be lurking before they become catastrophes. 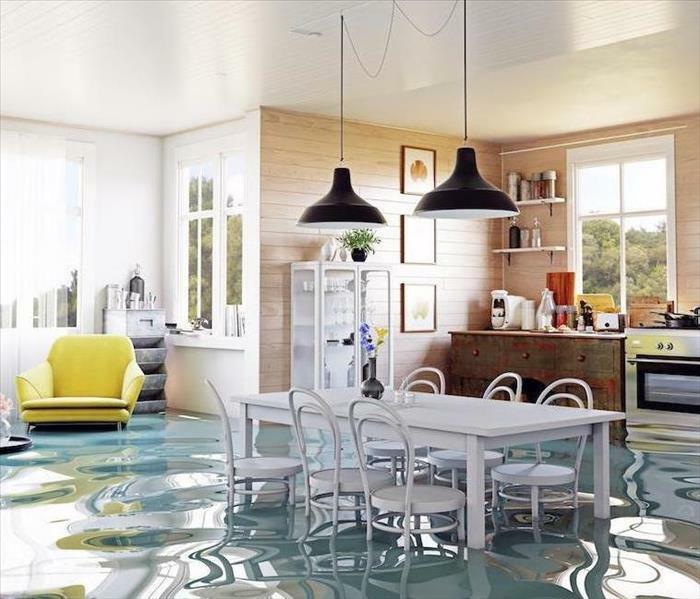 When you do find an issue, you need water damage restoration in your Chicago property from a professional company such as SERVPRO. We can find the problem and get your building promptly restored so you can get back to business as usual. Begin with your kitchen/break rooms and bathrooms. The water lines behind toilets should be checked, as well as under sinks for drips. Make a note of any watermarks you see in the cabinets under sinks. Fridges with ice makers, dishwashers, and coffee makers/drink dispensers all use water, so make sure to check the plumbing connections on them. When we arrive, SERVPRO staff find where the water source is coming from first. We can then use moisture meters and thermal imaging cameras to find and measure the amount of water and humidity in various building materials. If the water severely damages any drywall or other building materials, we remove them and replace them with new material. In most cases, we do what we can to work around your staff and customers so as not to cause a significant interruption or shut down your shop. We understand that closed doors for any length of time means lost profits for you as a business owner. You should also keep an eye on walls and floors, as a leaky roof doesn’t just present itself as a dripping ceiling. Water might travel down walls and across flooring. Also check your foundation, as this is an area which can get overlooked, but water damage can come from below as well. Look at your foundation and any the basement if applicable. Be sure to trust your senses as well. If you notice any moldy or musty smells, try turning off any noises fans or machines and listen for rushing or dripping noises. SERVPRO of Marquette Park / West Lawn / Ford City wants to help you restore your business in Gage Park, Marquette Park, or Scottsdale when there is any water damage issue. Please give us a call at (773) 337-3993 as soon as you find or suspect a problem so we can get everything back to normal as soon as possible. Getting a call from your tenants that there is water damage in your rental property is an unpleasant situation. The key to mitigating damage to your house and helping your tenants is to get the water removed, and contents cleaned as quickly as possible. The longer water stands, the more contaminated it becomes and the more damage it does. After 48 hours, if the water is still in the home, it becomes a black water-level incident, and the number of possessions and home contents that can be saved through restorative efforts goes down due to contaminants and secondary damage. When SERVPRO arrives to remediate water damage at your Ford City property, technicians split into teams to determine the scope of the water infiltration into flooring and soaked into drywall. While one team works on extracting water, another inspects the structure. Saturated drywall often cannot be restored, and our technicians use moisture probes to determine how far up into drywall moisture has seeped. If removal is necessary, we cut out drywall at least six inches to a foot from where moisture was last detected so complete drying happens within wall cavities. After the standing water is removed, technicians set up air movers at angles to move moist air out of the area. Dehumidifiers lower the overall moisture and encourage faster and thorough drying. Then surfaces and non-porous items are wiped down by hand with professional-grade antifungal and antibacterial cleaners. Our goal is to work quickly and disrupt your tenants' lives as little as possible during the remediation process. Drying water-saturated contents will often substantially reduce the noticeable odor in the home. If any lingering odors remain, we have equipment and methods to neutralize residual smells dependent on the level of treatment needed. Click here for more about Ford City. SERVPRO can help you to clean up and recover from the effects of fire in your home without causing any further damage to the building. When a part of your home becomes discolored as a result of fire damage in Chicago, the first solution that may cross your mind could be to cover up the patch of discoloration with a fresh coat of paint. However, without the help of a professional damage restoration company like SERVPRO, you run the risk of causing permanent damage to the building through freshly-applied paint. The process to eliminate any visual signs of damage often carries far more complex than one might assume, and without using specialized cleaning techniques before covering up the damage, these consequences could develop with time. One of the ways we help local Chicago residents deal with fire damage is through our smoke odor removal services. SERVPRO technicians use thermal fogging devices armed with special mixtures that target and eliminate smoke odors at their source. Without these heavy-duty tools, it can be almost impossible to mask smoke odors long-term. Repainting over a damaged area without first putting the area through odor removal treatments can lead to your home still smelling of smoke years after the incident happened. For a variety of reasons, freshly-applied paint may not match the colors in the room, even if the same base color from the same paint company is used. Dark brown and black colors may create a dark patch on a wall or, worse, compounds in the smoke and ash residues still present on the wall can cause chemical changes in the paint and alter its pigmentation. When necessary, we use special types of paint that not only match the other colors in the home but also can thoroughly cover up any charring on the wall. Cleaning the wall on your own before applying fresh paint can bring trouble, too. Some types of fire residues can react in a harmful way when they come in contact with water and other household cleaning agents. SERVPRO technicians use a diverse array of specialized cleaning agents to scrub off residues without causing further damage to the structure of your house. SERVPRO of Marquette Park / West Lawn / Ford City can help you to clean up and recover from the effects of fire in your home without causing any further damage to the building. Call us 24/7 at (773) 337-3993. Businesses often have pipes burst which causes significant water damage. Our experts are ready to help you with restoration 24/7. Problems associated with moisture can happen anywhere including your Chicago ice cream shop. If your roof ever happens to leak or a pipe breaks in a unit above yours, it is wise to notify a professional commercial water damage company such as SERVPRO. Water coming into your company's building from above can cause several different problems. If moisture comes into contact with your acoustic ceiling tiles they can quickly start to crumble and disintegrate. Problems with ceiling tiles are a common part of many commercial water damage projects. When dealing with your specific business, our SERVPRO technicians know that sanitization is vital. When conducting any commercial water damage project in Chicago, especially inside an ice cream store, we take extra measures to make sure your work areas stay clean. If moisture happens to pour down from above, then we can use plastic to mask off your food prep tables as soon as we arrive at your place of business. Roofs that leak or moisture coming from a storefront above you, can detoriorate your ceiling tiles and cause them to crumble and fall to the ground. Debris falling onto your prep table where your company prepares ice cream treats can cause you sanitary problems. If we notice that your acoustic ceiling tiles retained moisture, then we inspect them to see if they present fall hazards or if they can be saved with sturctural drying procedures. Since acoustic tiles are easily ruined by moisture and they are relatively inexpensive to replace, they often get removed when they are saturated. If we ever have to remove materials that make up your ceiling, we make sure that we cover all areas below with heavy-duty plastic. Even if your ice cream preparation table has its own cover, we still make sure to mask off your equipment so that no contamination occurs. After the project gets completed, we clean and sanitize your entire ice cream shop. If you ever happen to notice water damage or moisture coming into your ice cream store from the ceiling, call SERVPRO of Marquette Park / West Lawn / Ford City at (773) 337-3993 24 hours a day. Don't miss St. Patrick's Day Chicago 2019 click here for more information. 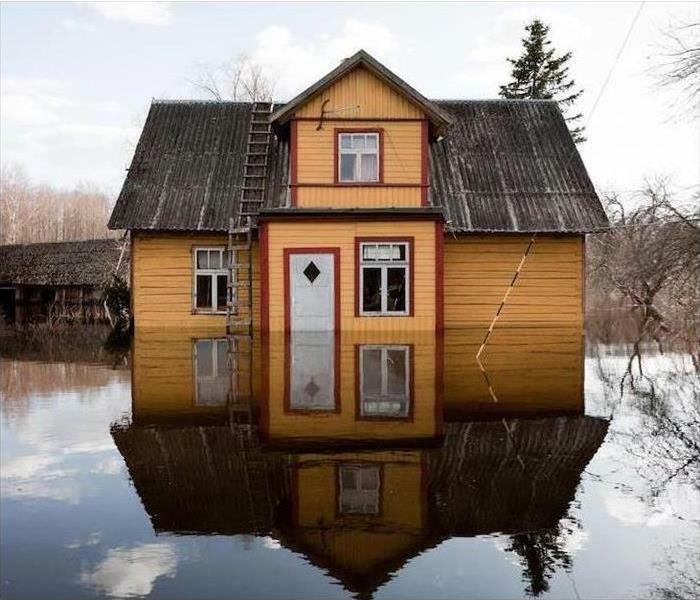 Flood damaged homes need fast and effective water removal efforts. 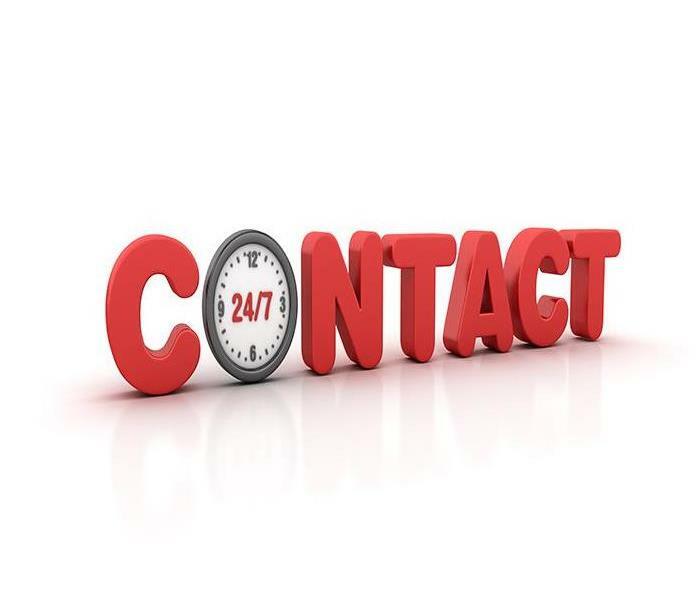 Call us anytime 24/7 365 days a year for service. Managing a home damaged by floods is never easy because of the different ways floodwaters harm property. Apart from the removal of water and cleaning of soiled areas, the process might involve teardown and rebuilding of some areas which complicates the process even further. One straightforward solution to help you deal with the damages is hiring a professional restoration company. Each case of flood damage in Chicago is unique so restoration should only start after a thorough evaluation process. 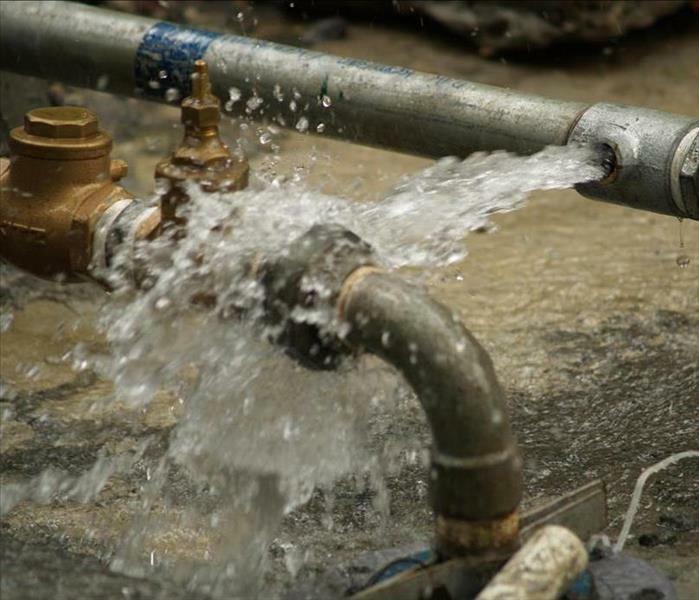 While issues like water pooling around the property are expected, other aspects of the problem are harder to discern. For example, the level of moisture migration in materials such as wooden floors, baseboards or frames requires more in-depth evaluation. Our SERVPRO technicians use a variety of detection tools like moisture sensors, thermal cameras, and thermo-hygrometers to evaluate the conditions in the affected areas. We also use electrical circuit testers to check for electrical hazards. Floodwaters can occupy a considerable section of the property meaning high volumes of water need removal as part of the restoration. Handling such a process with mops and buckets might not be very practical especially considering the need to fast-track the process to prevent secondary problems. Our SERVPRO team simplifies the process by using different equipment to handle the removal. For water deeper than two inches, we have submersible pumps. We also have truck-mounted water extractors which can remove up to 36000 gallons of water per day. Contamination after flooding is common considering floods lead to sewer backups and other problems. Dealing with contaminated water is not always easy considering there might be disposal restrictions in your area. Direct skin contact with such water can also cause health problems. Our SERVPRO technicians help you deal with contamination in different ways. Before starting restorative processes, we spray EPA- registered disinfectants directly into the water. We also have the right PPE, Personal Protective Equipment, including rubber gloves and boots which allow us to move around the property freely. Our water extractors have storage tanks that can hold up to 100 gallons of water, but in case of higher volumes, we liaise with septic tank services to help with proper disposal. Restoring flood-damaged property is straightforward with professional assistance. Call SERVPRO of Marquette Park / West Lawn / Ford City to assist you. You can reach us 24/7 at (773) 337-3993. We’re Faster To Any Size Disaster. When the temperature drops outside sometimes water pipes inside your Chicago home freeze and break. When the temperature drops outside sometimes water pipes inside your Chicago home freeze and break. If a pipe breaks in your kitchen, for example, it is a possibility that water pours into your kitchen and other areas of your house. Water getting inside a structure, in many cases causes much damage. It is possible when something goes wrong with your pipes that water damages contents and building materials. 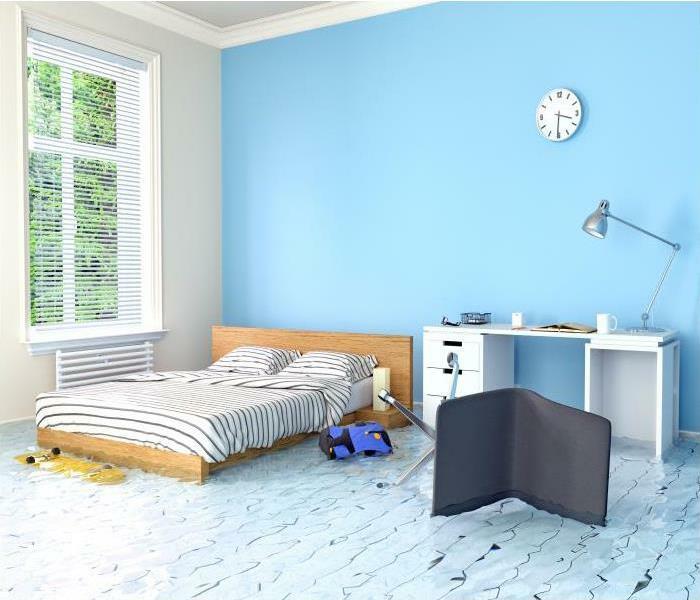 Anytime you think you may have a water damage problem it is smart to call in SERVPRO's team of water damage specialists in Chicago. Our crews are IICRC certified and experienced in mitigating water damage problems in many different scenarios. In the case of a pipe breaking the first thing our team does is fix the source of the problem so that water stops leaking into the dwelling. Then our SERVPRO restoration crew comes in and extracts any standing water found. After standing water gets extracted, we use specialized equipment to extract water out of the carpet and hard surface flooring. Once our team extracts as much water as they can, the drying process begins. To start our experts use their equipment to test temperature, relative humidity, and moisture content of building materials inside the room. The technicians then set up air movers and dehumidifiers to bring moisture levels down to normal. The air and building materials within the damaged room get tested periodically throughout the drying process. If things are still wet in an area, then nothing changes until the moisture levels meet the goal. If the area where the air movers are drying is dry and other parts of the home are not, then our specialists reposition the air movers and dehumidifiers so that they are drying the wet area. We return to your house every day and check the temperature, relative humidity and moisture content in the walls and floor. The equipment stays set up and operating inside the dwelling until moisture levels are back down to what they are under normal conditions. Once the moisture levels are in the desired range, we come in and remove all of the drying equipment and then complete a final cleaning process. Often our crews mitigate a water damage situation without having to remove and discard any building materials. For best results when your home gets water damage, call SERVPRO of Marquette Park / West Lawn / Ford City at (773) 337-3993 for help 24/7. For more about Chicago visit https://www.cityofchicago.org/city/en.html. Partner with SERVPRO for skilled remediation and restoration efforts after a big storm. Although Chicago as a city has put in place several measures to curb flood damage, it is hard to know what to expect when the heavy rains come around. Being the Windy City--The Hawk, a tree in your compound can be blown away and in the process expose your property to rainstorms. If that property is your house, then flooding is more than expected. Residents of Chicago have choices to make at the end of a flood damage incident. The most recommended choice is letting a service provider like SERVPRO to restore the affected property. Remember at this point we are talking about your property that is soaked with flood water and needs the right air moving equipment to enhance evaporation and quicken the drying time. Below, we highlight some of the air moving tools that our certified professionals use to restore your property. Restorers use clamps that come with some air movers to hold your carpets into position so that air can be blown under them. They also have a special feature which makes it possible for the experts to attach snouts at their end. By doing that, dry air reaches the wall cavities which are normally located under the cabinets. The air forced by these devices is high velocity so that the rate of evaporation is increased. SERVPRO technicians can also use ventilating or drying systems to direct air into wall cavities. The working of these systems is similar to that of air movers, and it is typical to see tiny holes drilled in the walls or beneath your cabinets to blow air into them. Larger volumes of air are also moved by the use of venting fans or axial fans. When your property is dry and its moisture levels have been checked for the last time, SERVPRO experts choose the most appropriate cleaning method based on the restored material. If we are talking about a soiled carpet, then the soil level determines the cleaning process. All in all, homeowners are encouraged to seek professional restoration services as opposed to working on their own. SERVPRO of Marquette Park / West Lawn / Ford City is here to provide you with flood damage restoration services when you need them most. Contact us at (773) 337-3993 to learn more about your options. Information about disaster relief in this area click right here. Contact SERVPRO if you see mold on your favorite wood table. We arrive quickly and will do our best to save your table from having to be replaced. Mold damage is a problem many homeowners have to face at some point. Mold can grow in any situation where there is moisture plus an organic food source. As organic food sources include natural housing materials such as insulation or drywall, it is all too easy for the fungus to set up camp in a house. In the event of mold damage in your Chicago home, it is natural to be concerned about favorite pieces of furniture or belongings that you do not want to lose. We have experience in removing mold from a broad range of surfaces, which is why it is important to call us straight away. Our SERVPRO technicians assess the situation and let you know what is salvageable. Wood tables can, unfortunately, become victims of mold damage. 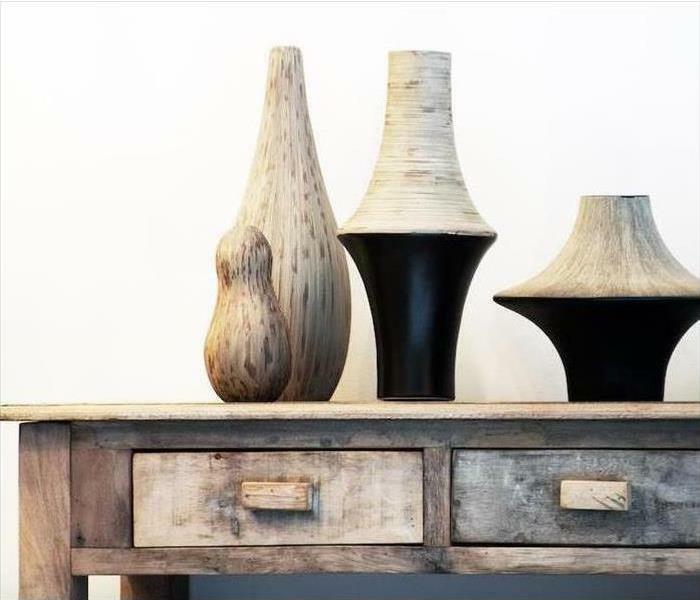 Wood soaks up water which provides moisture, so if you have suffered a leak, a flood, or simply have a damp environment in your home, fungus might grow on your favorite wood table. We equip our SERVPRO technicians to tackle mold in several ways. HEPA vacuuming is an effective way to remove loose spores from the surface of your table. HEPA vacuums are capable of filtering out particles as small as 0.3 microns, which makes them ideal for tackling mold. Our team also scrubs away mold with stiff bristled brushes, always being careful not to cause further damage to the table. Finally, we apply detergents if necessary. Products are chosen to suit your specific situation, so you can rest easy knowing you are getting the most appropriate treatment for your home. Mold thrives in damp environments, which is why SERVPRO also tests the moisture levels in your home and establishes a drying goal and plan. 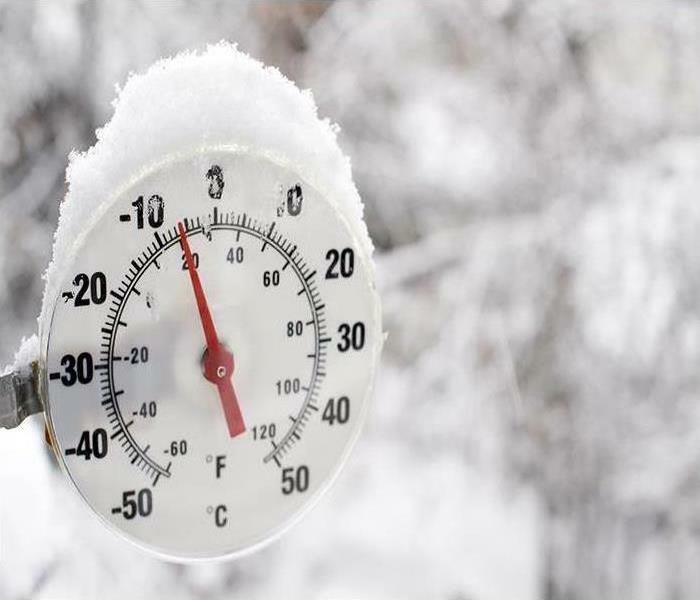 We use thermal hygrometers and moisture meters to measure humidity levels, and a range of dehumidifiers and air movers to bring the humidity down to an acceptable level. Speed is of the essence when it comes to mold remediation. SERVPRO of Marquette Park / West Lawn / Ford City is waiting to offer assistance throughout Chicago, Ford City, Marquette Park, Gage Park, Brighton Park, Archer Heights, Scottsdale and the surrounding areas. Call us today at (773) 337-3993. Our expert technicians are available for emergency services 24/7 and can be at your home in hours after you call. Preventable chimney fires account for a portion of the fire damage losses in the United States every year. The blazes can be attributed from usually one of two causes. The first is a build-up of creosote, a highly combustible oil that is distilled from coal tar and coats commercially sold wood as a preservative. The residue of burning logs can block a chimney leading to a flash fire. Regular chimney maintenance avoids this happening. The second common reason is the homeowner failing to use a fireplace screen and a spark igniting carpeting or furnishings. When SERVPRO responded to a call to mitigate the loss after a Chicago living room fire, we used a multi-layered approach to address all aspects of the damage left by the fire. Technicians inspected the home to determine how much of the house was affected by the fire, water to put out the fire and deodorization needs. Containment around the living room was used, and the HVAC system turned off to stop the spread of the odor around the home. Technicians remove items that cannot be restored and choose the best cleaning method based on the type of smoke residue as well as the construction materials of items, special dry sponges with specially formulated solutions to combat soot and smoke are one of our effective methods used. 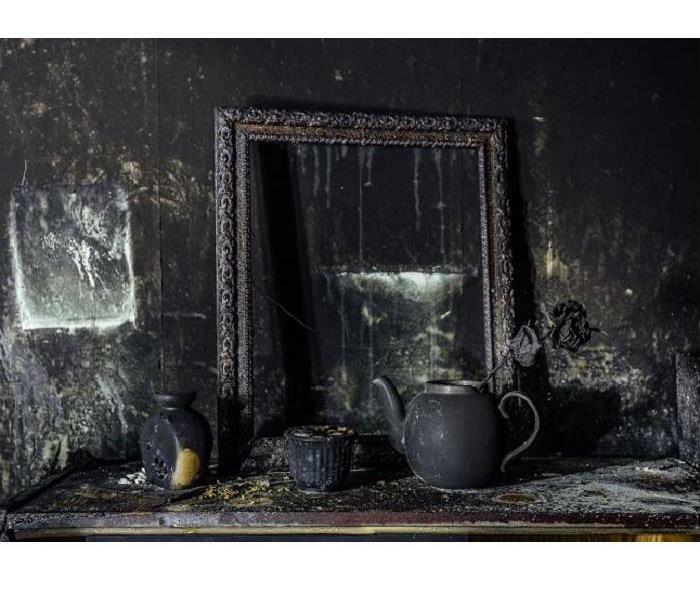 The odor left behind by a home fire penetrates porous objects, furnishings, and building materials. Hydroxyl generators work by neutralizing harmful gases, odors and volatile organic compounds (VOCs) in indoor environments. This method also eliminates bacteria, mildew, and mold. Thermal fogging is another deodorization method employed by SERVPRO. This restoration method uses the same principle to penetrate areas of the room as the smoke did, eliminating odors left behind by the fire. SERVPRO of Marquette Park / West Lawn / Ford City knows restoration of fire damage to your home needs to start as quickly as possible to avoid additional damage. Our expert technicians are available for emergency services 24/7 and can be at your home in hours after you call (773) 337-3993. 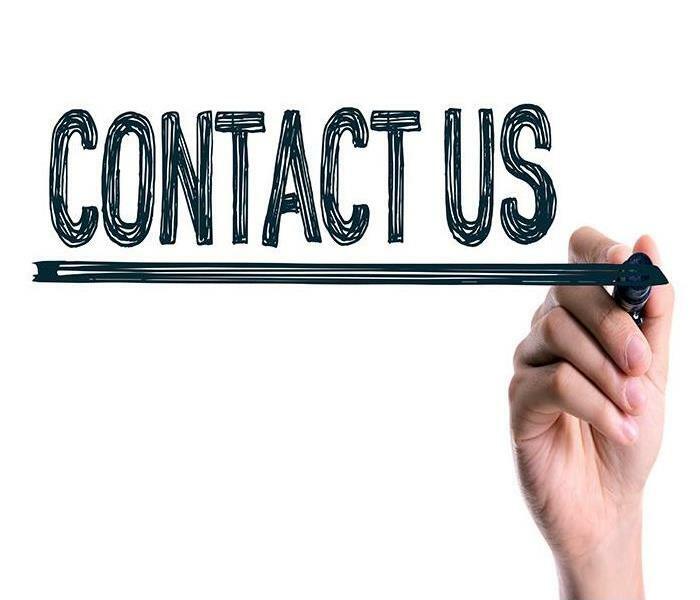 4/8/2019 - Our Team Is Here To Help If A Water Damage Emergency Occurs In Your Chicago Business!